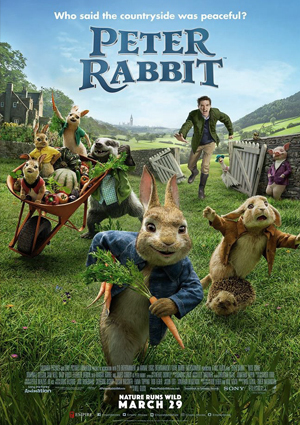 Digital Compositing for Live-Action/CGI Hybrid feature PETER RABBIT. I’ve been involved in the project for about four months as a member of the comp crew at Animal Logic in Sydney. My tasks included a lot of CG character integration and extensive stuffy and rig removals. In addition to that, I was responsible for 2D look dev, comp and optical lens effect treatment of the full CG sequences inside the rabbit’s burrow. Cast: Daisy Ridley, Rose Byrne, James Corden i.a.